It’s time for NarniaWebbers to head to the polls! 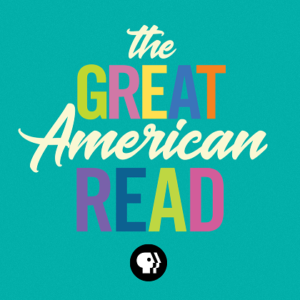 This September, PBS will be launching a new series called “The Great American Read” and the one volume edition of The Chronicles of Narnia has a chance to win as the nation’s best-loved book in the series finale on October 23rd. You may vote once per day on each of these platforms. Voting is eligible to individuals in the United State and Canada. For more information, check out the How to Vote FAQs. #VOTENarnia and show the world that Aslan is on the move! Man! I really want to support Narnia but there are so many other books listed that I love like Great Expectations and Charlotte’s Web. I don’t know what to do. No problem! You can vote for more than one book. Just limit your votes to one vote per day, per voting platform. This is no contest for me. Narnia all the way! Lord of the Rings is on the list, and Pride and Prejudice! This is hard! Honestly, if C.S. Lewis were alive, he’d probably be voting for J.R.R. Tolkien and Jane Austen, too! Oh absolutely I’ll vote:) I’m curious what the cover will look like though, as I own the large map-covered one and have seen the B&N Classics edition (it’s blue with silver designs and Lucy on the cover) as well as a stout black one with an image of Aslan with a fiery mane. Can’t support the one volume edition as long as the books are still represented in the wrong order. While the books may be better when they aren’t in the chronological order, I don’t think you shouldn’t vote for them just because of that. They’re still a great series. Or the Shack. I remember that book being really cloying and smarmy. You can only enjoy it by reading it a sentence at a time. Reading large portions at once can drive you up a wall. Actually, I liked The Shack a great deal. Different strokes for different folks, I guess. But Narnia!!! Classic stuff! I tried voting, but the CAPTCHA they make you do seems to shut down when you click on it. I have all seven books separately but gladly voted for the one-volume version because I would love for more people to know about the Chronicles of Narnia. I didn’t discover them until I was in my late 50s but immediately fell in love with Narnia and Aslan. I so wish I had known about them when my sons were young but now I am sharing them with my grandsons. The truths, the brilliant observations about human behavior, the wisdom found in The Chronicles of Narnia—you couldn’t ask for better reading material to put the world into perspective on so many issues. Not to mention, they are simply alive with adventure and good fun. Just classic literature. Then again, C.S. Lewis is my favorite writer across the board. I have never found another human being who could come close to his ability to capture truth and make it understandable without sounding preachy. Brilliant writer. I have voted for Narnia, I almost did Lord of the Rings……but then I remembered the Voyage of DT movie, and have decided Narnia could use some good press. It also happens to be my copy of the book, but it should absolutely be read in published order. P.S VDT movie was terrible. Okay I figured out how to vote somehow. Vote … FOR NARNIA! Can Australians vote in "the Great American Read"? Or is this competition only meant for Americans? I think as long as it’s online, anyone can.